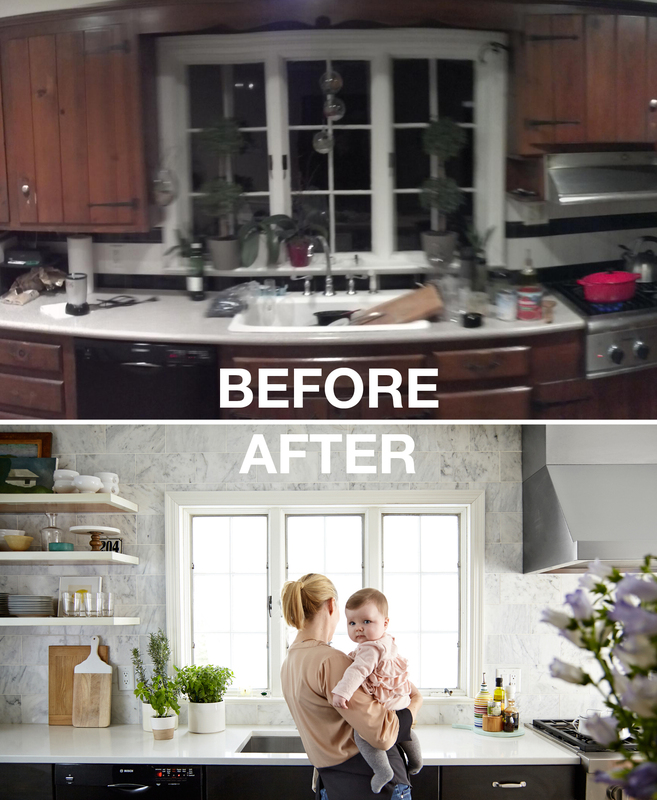 When we bought our dream home—a simple and classic farmhouse (built in 1805) in Franklin Lakes, NJ—the 50’s stained-knotty-pine kitchen was not part of that dream. 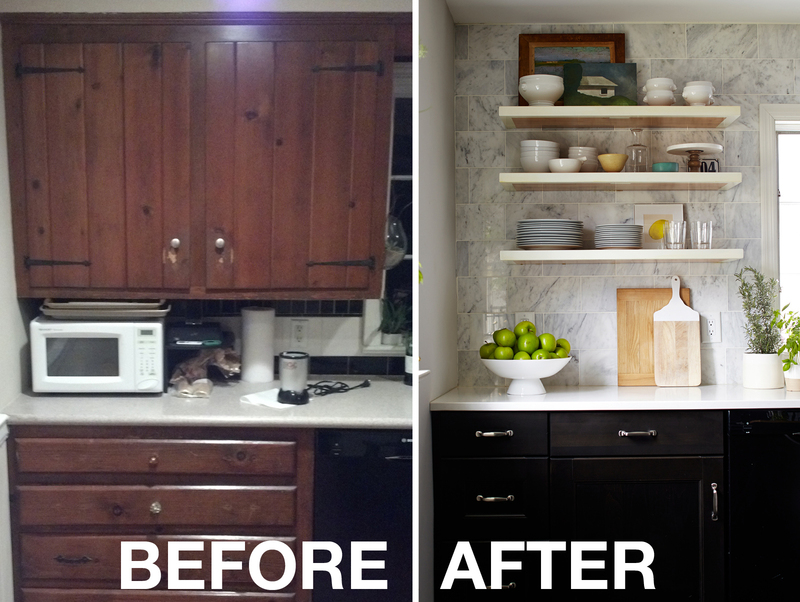 Despite this fact, my husband thought we should abstain from a kitchen remodel for a few months…or a year even. I should mention now that I’m a renovation zealot? We owned the home for less than 24 hours when I demo’d one of the walls to open the floor plan up to the family room. Surprising as it may seem, we started work on the kitchen immediately. With help from a wonderful builder (Mark Ferrero of Oakland, NJ. phone: 201.926.3967) and advice from the best local architect (my mother, Pam Watt McBride, phone: 201.805.3825) we realized our dream kitchen. 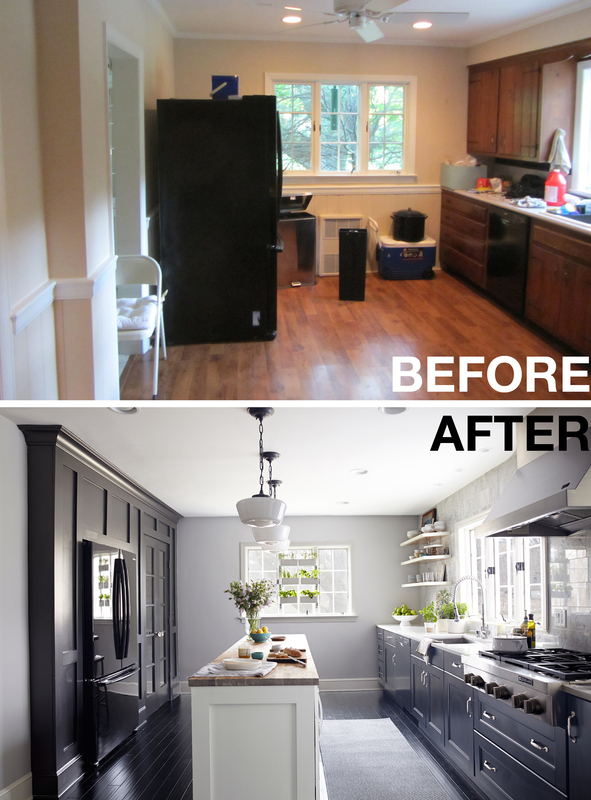 Pam gave us the brilliant idea to use 4′ for an adjacent room to expand the kitchen to make space for the refrigerator and a deluxe little food pantry with french doors. 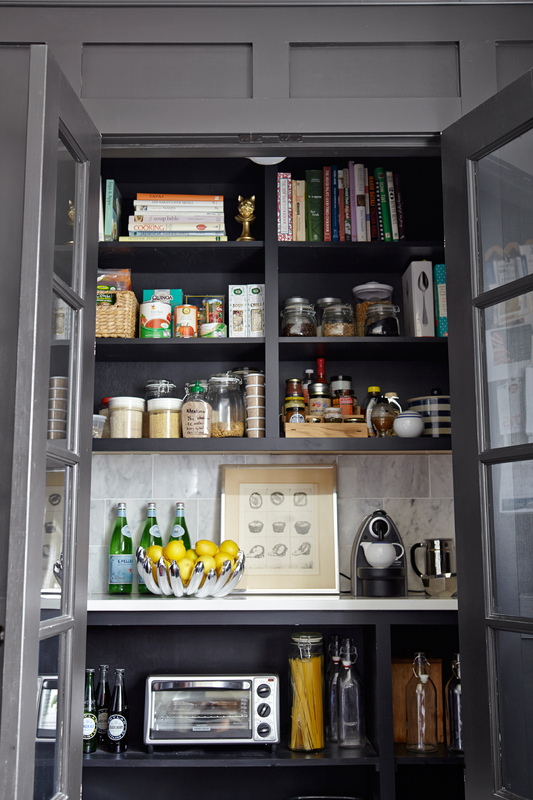 By pushing the refrigerator back into the wall and adding a pantry, we were able to eliminate the need for upper cabinets—making the space feel much larger—and gave us room for a long, narrow island. 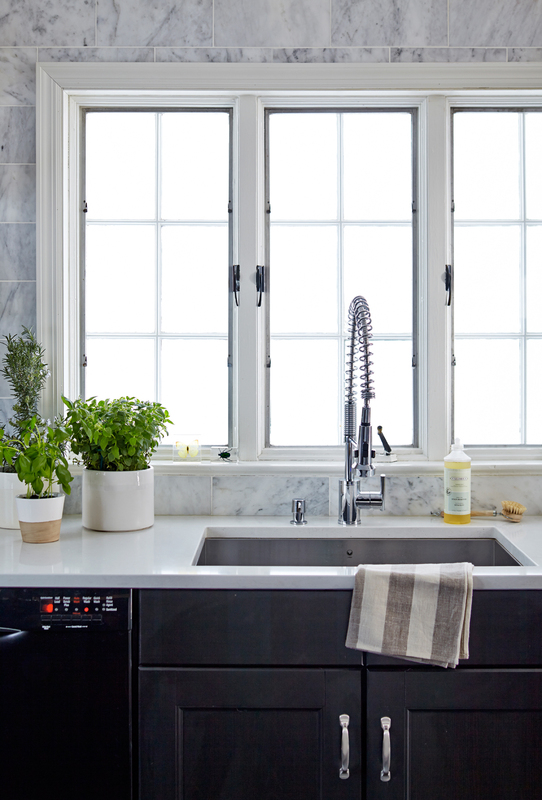 We wanted a classic kitchen—like one you might find in a formal townhouse from the 1800’s—but with a modern and industrial bent. Our farmhouse would have originally had a dirt floor kitchen with a huge hearth—still partly visible in what we are turning into a library. I’d always wanted a black kitchen, but since this room gets very little sun we went half & half. 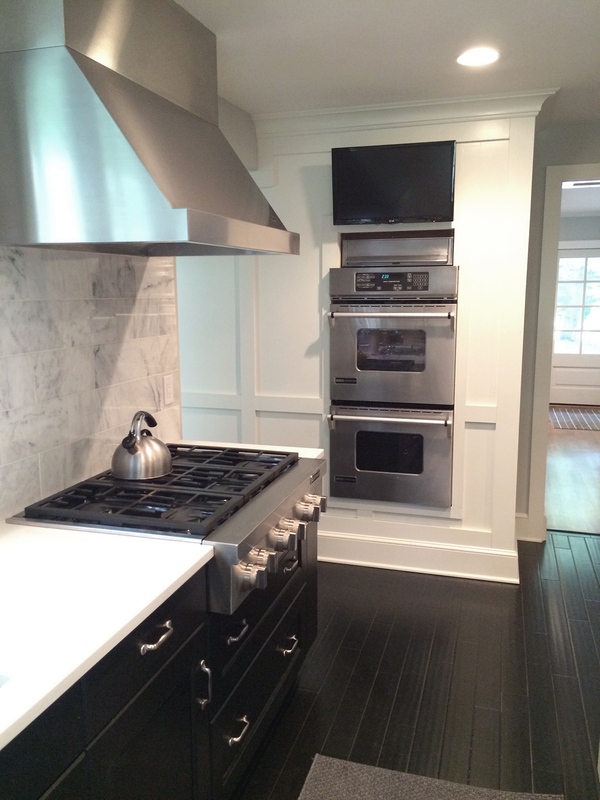 For serious historical (yet moderne) oomph, we did an entire wall in a 6″X12″ Carrera marble tile and used modern stainless hardware and a chrome sink fixture to tie in our large industrial hood, range and ovens. We paneled over the existing brick wall to give it a more polished look and further drive out the 50’s juju. We used a large antique banyan wood and glass case—originally from an apothecary in India, instead of more cabinetry—to give it a more eclectic, unique, and lived-in look. 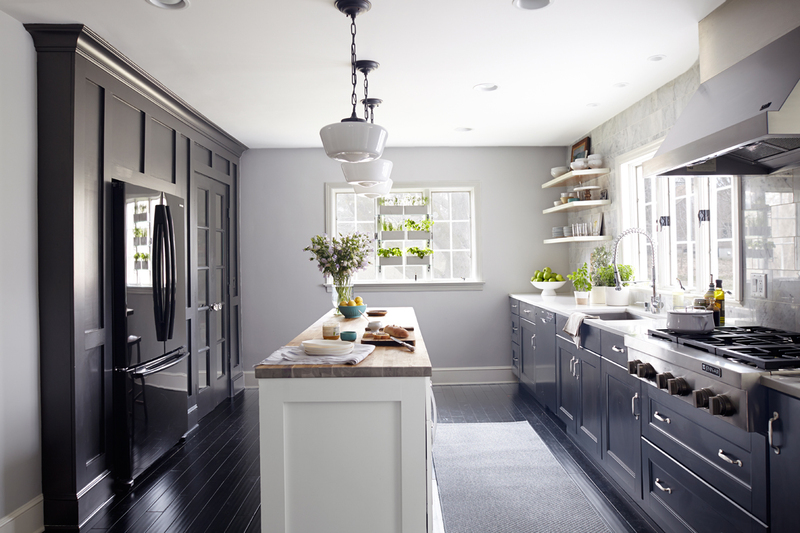 This element also tied in the butcher block island countertop nicely and gave a little more warmth and charm to the otherwise austere kitchen design. 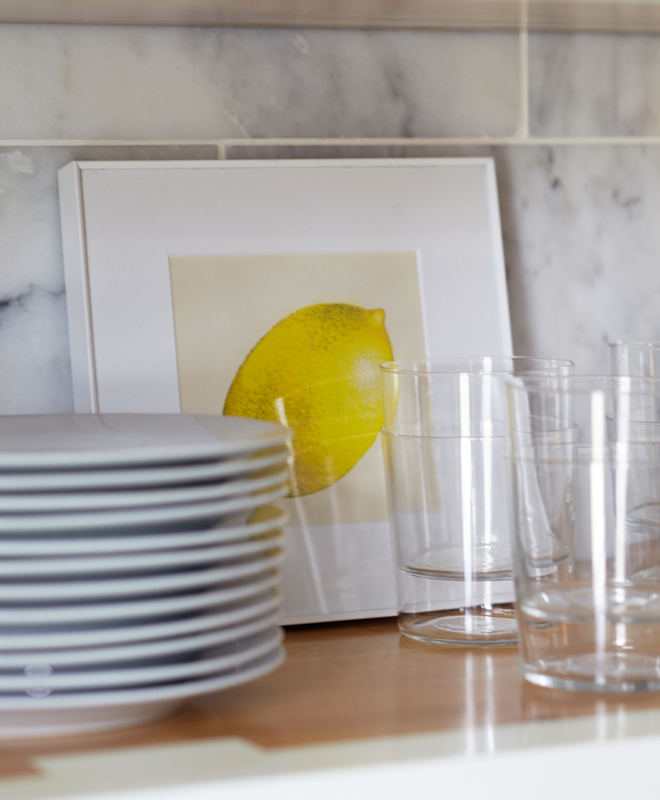 I can’t imagine life without this kitchen; now the heart of our lively home. AND, a great national print magazine—to remain unnamed for now—is coming to shoot it for their publication later this month, so we did something right! 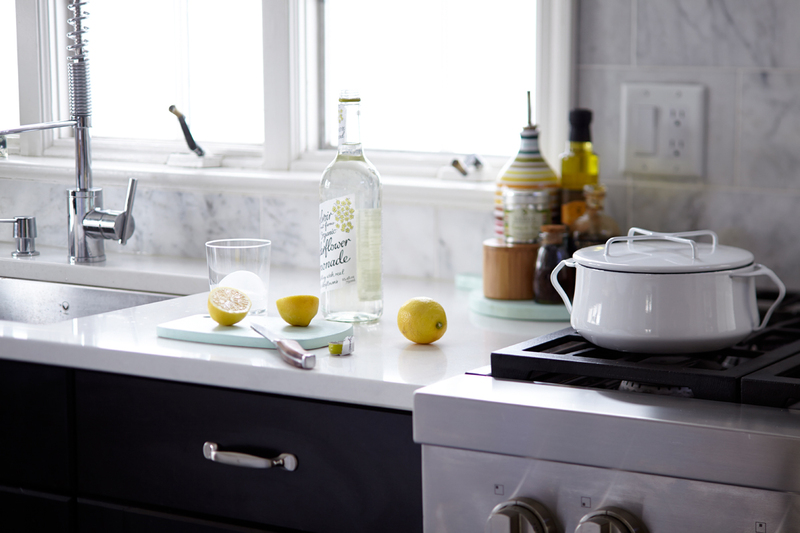 See my RESOURCES below for your kitchen renovations & CHEERS! Cabinets: Black ones are “Laxabry” from IKEA with a 25-year warranty. White ones under the island are from Green Demolitions, a fabulous salvage place definitely worth checking out. 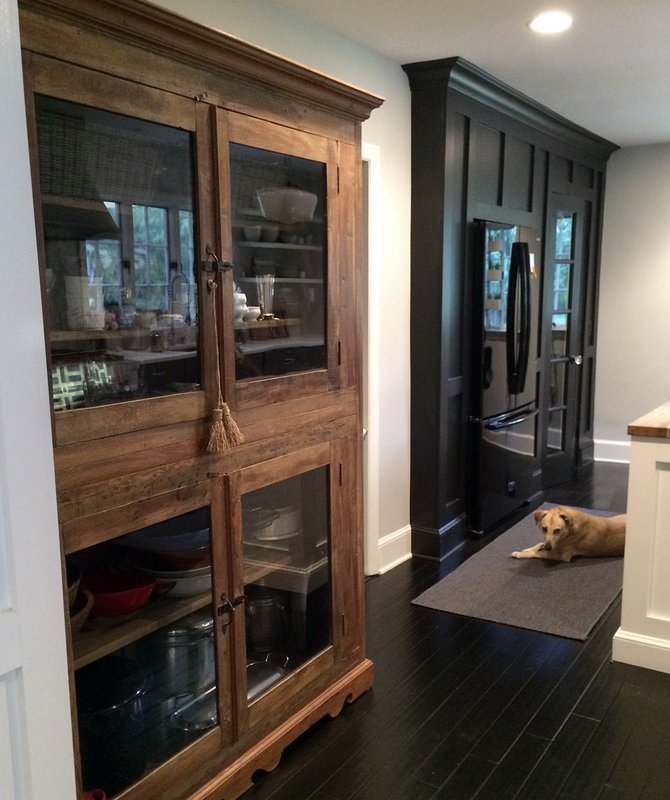 This entry was posted in DECOR, INTERIORS, MY PROJECTS and tagged antique, architect, bamboo, banyan wood, Before and After, black kitchen, Black Mamba, butcher block countertop, Caesarstone, Carrera marble tile, classic, classic kitchen, dream home, farmhouse, Franklin Lakes, Green Demolitions, home renovations, industrial, interior design, JENN-AIR, Karin Olsen, kitchen remodel, Laura Moss, Mark Ferrero, Meredith McBride Kipp, modern, narrow kitchen island, Pam Watt McBride, pantry, photography, Ryerson Kipp, shingle-style, stainless hardware, VIGO, White Counter by meredith. Bookmark the permalink. 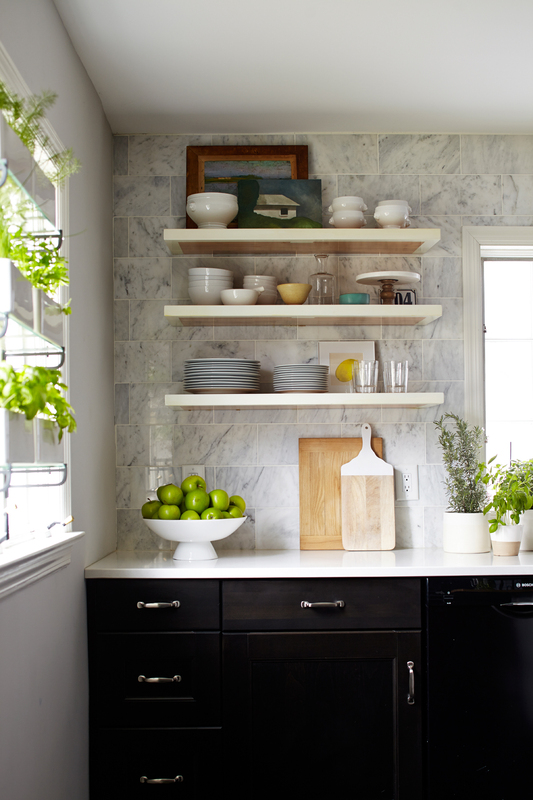 Maybe there is hope for my kitchen!!! The scarey thing is then I would have to cook! You, dear Mere, are a visionary!! Like your beautiful Mom. 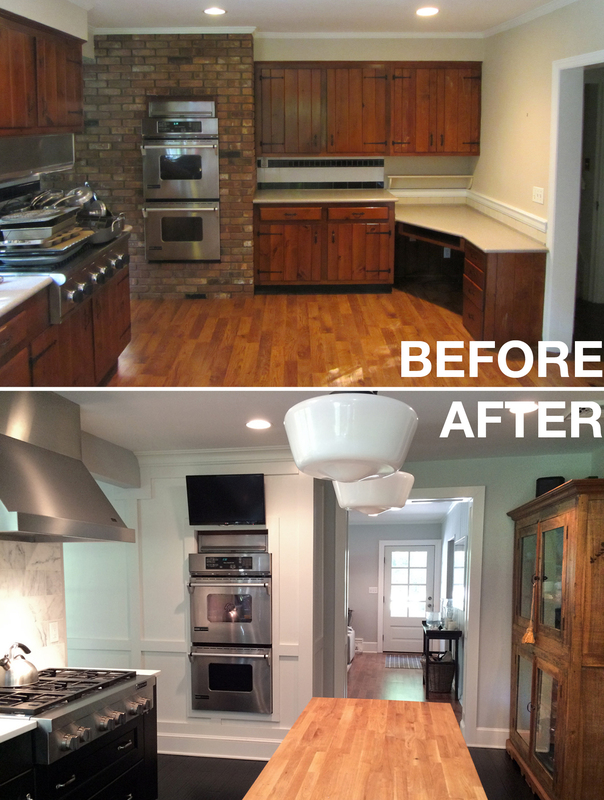 There is no way I would ever have envisioned the before kitchen as the spectacular after… Wow! Beautiful. Just like you. And Kate. Utterly fabulous. I forwarded this on to my niece in Michigan who is doing her kitchen. 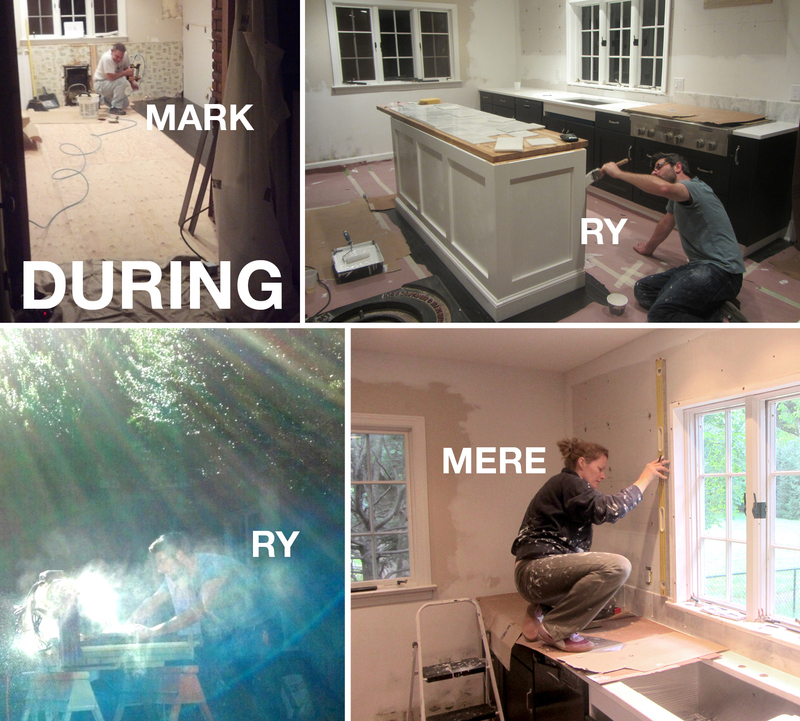 I’m an HGTV addict, and YOU should have your own show. Can I come see in person?? Once again you and Ry have outdone yourselves. What a wonderful job you’ve done! I absolutely love it! Congratulations ! Another Spectacular job!!! Pingback: storage, storage, who wants some storage? | our slice.